We’re back with another look at some of the amazing parents we’re lucky to call our customers. We gave you a peek at a few Hello Sitter users who make crave-worthy products in our holiday gift guide. Then there are the fashion and lifestyle bloggers who keep us up on trends, designers, and beauty products that we don’t have time to hunt down on our own (because: perfecting an app and growing a sitter service over here!). We discovered some of them after they discovered us. This is shaping up to be a very symbiotic relationship, thank you very much! A Wild Dove: Founded by NYC stylist and mom of one, Lynn Levoy, A Wild Dove leads the way in trumpeting living well philosophies for families. 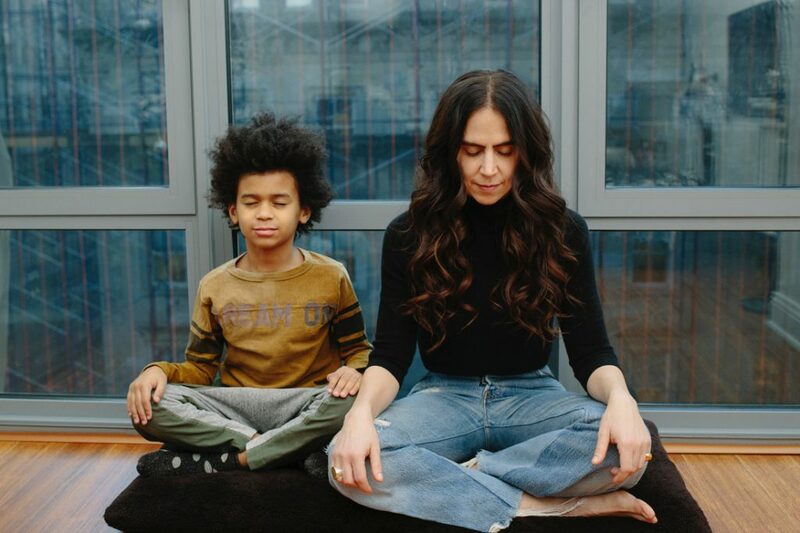 We stop by for the latest and greatest in organic and natural products, profiles of healthy living icons like Tata Harper, and mindfulness practices for mamas. Lucky Penny: Brooklyn mom of two Ana Fritsch strikes a nice balance between accessible and inspiring on her blog featuring fashion, crafts, and travel. You’re going to want to follow her lovely Instagram if you aren’t already. 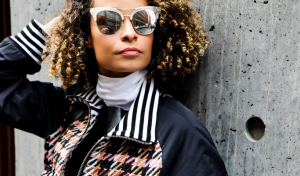 Cici & Dada: Mom of three Lisa Dotson updates this city girl style blog in unison with her twin, who’s in L.A. and provides an eye on that scene. Read for bi-coastal cool. 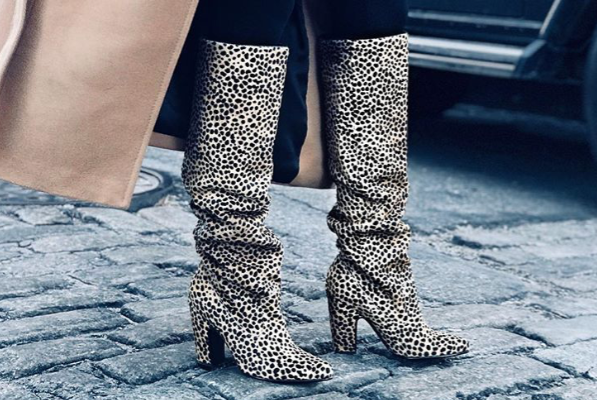 Scout the City: Gorgeous mom Sai de Silva (that’s her as well in the boots, above) is a well-deserving Instagram and blogging star for her uncanny ability to deliver accessible style, modern beauty, and aspirational lifestyle in a photo (usually featuring her beautiful kids) and a few words. She sets the bar. Lillies and León: Nicole Gonzalez uses tons of retro-y photos and a relatable tone, all while making her life as an NYC WAHM with two small kids look fabulously chic and easy. Don’t miss her sweet family pics on the ‘gram (nearly 50,000 others aren’t!). 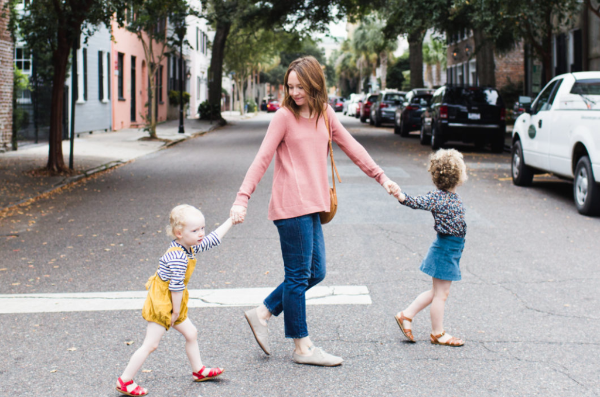 Hello Hughes: Teacher turned SAHM Jenny Hughes’s blog is filled with affordable fashion, cute baby ideas, and wide-eyed NYC explorations (she’s a newbie!). 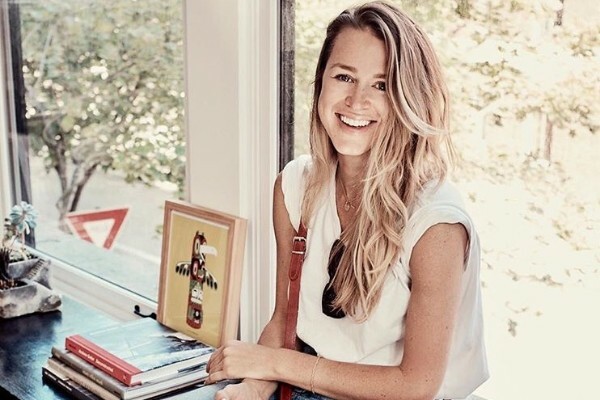 Mercer and Green: Girl mom and native New Yorker Sara Jane Mercer focuses on living healthy with kids in the city, from quick recipes and restaurant suggestions to organic beauty and baby gear ideas. MINIMODE: Co-founded by cool mom Colleen Crivello, MINIMODE is one part hip fashion and home boutique, one part mecca of modern woman- and motherhood. It’s like your favorite magazine, updated (almost) daily. 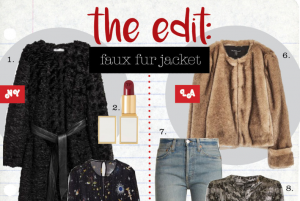 Have a favorite NYC (or Hamptons) based blogger? Share in the comments!